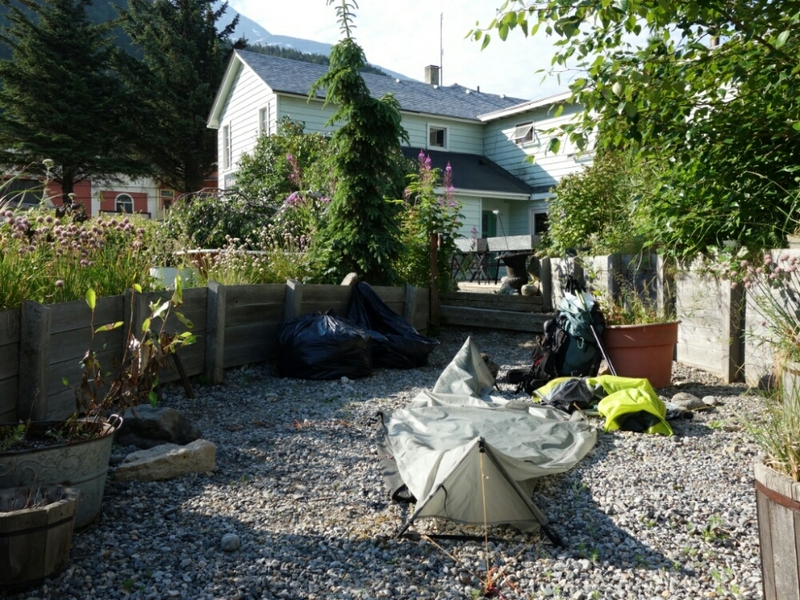 Haines – What a gorgeous place! Laundry in the morning. Then a ferry over to Haines. I almost forgot to take a picture before I took my tent down. 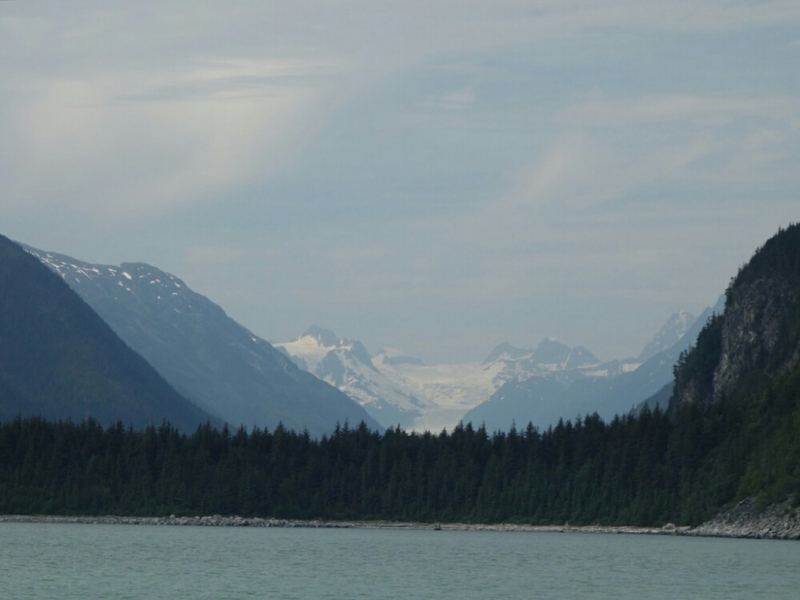 I think Haines is the most beautiful town setting I have ever seen. I had made reservations at the Bear Creek Cabins a mile out of town. That was one of the longest miles I have ever walked. I rented a bike to get back to town. I rode by an RV park right in town. Camping at water’s edge with views of the most amazing mountains. Perfect weather. This is where I should have stayed. So much for planning ahead. It was Sunday after 7pm. Almost everything was closed including the grocery store. I saw a man with an ipad sitting on a bench. I asked him if he lived here and where I could eat. He told me the one place. I parked the bike and then remembered I hadn’t taken photos of the yacht harbor so I walked the block to it. The man was there. 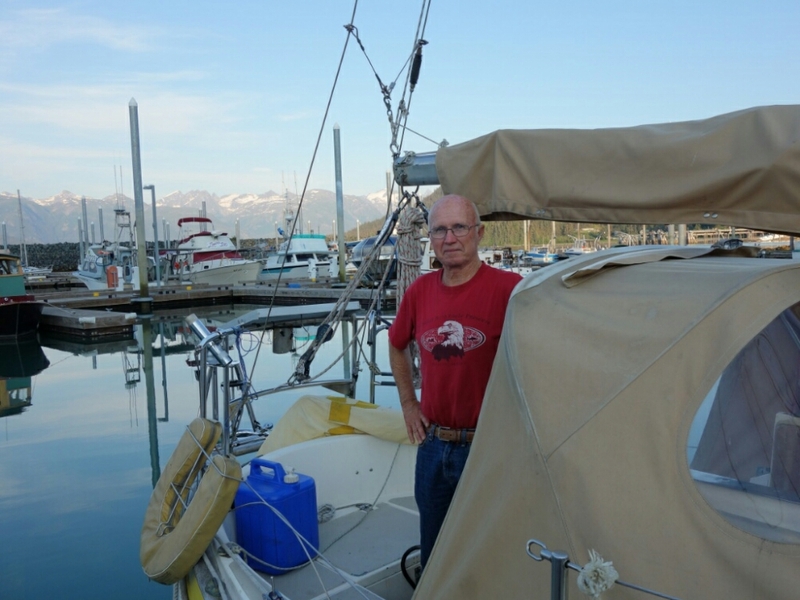 After a few more minutes of talking, David invited me aboard his sailboat for dinner. Amazing. This entry was posted in ALASKA 2015 on July 6, 2015 by nancyhikes. I love your stories! Keep it up Ms. Nancy! !